This is before Taylor would transform the family’s garage into a mysterious, glow-in-the-dark cache of rocks and metals and liquids with unimaginable powers. Before he would conceive, in a series of unlikely epiphanies, new ways to use neutrons to confront some of the biggest challenges of our time: cancer and nuclear terrorism. Before he would build a reactor that could hurl atoms together in a 500-million-degree plasma core—becoming, at 14, the youngest individual on Earth to achieve nuclear fusion. Not only the youngest, but -- as the story points out -- one of only 32 individuals or teams ever to do so. Taylor's foray into fusion isn't just a stunt. As noted, this work has significant potential real-world applications, including a possible solution to a major problem for which no one has yet come up with a good a good answer. 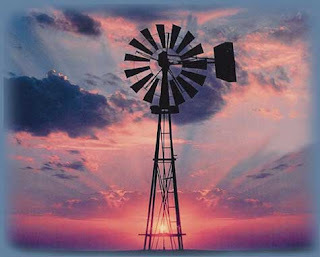 While still developing his medical isotope application, Taylor came across a report about how the thousands of shipping containers entering the country daily had become the nation’s most vulnerable “soft belly,” the easiest entry point for weapons of mass destruction. Lying in bed one night, he hit on an idea: Why not use a fusion reactor to produce weapons-sniffing neutrons that could scan the contents of containers as they passed through ports? Over the next few weeks, he devised a concept for a drive-through device that would use a small reactor to bombard passing containers with neutrons. If weapons were inside, the neutrons would force the atoms into fission, emitting gamma radiation (in the case of nuclear material) or nitrogen (in the case of conventional explosives). A detector, mounted opposite, would pick up the signature and alert the operator. 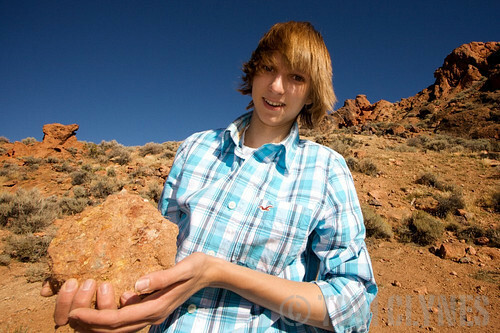 Taylor Wilson prospecting for uranium. This is the story of what happens when a genius is raised in a genius-friendly environment. Writer Tom Clynes observes that genius-friendliness is the key difference between the story of Taylor Wilson, who was supported by his parents, and who was able to connect with resources who both encouraged him and helped him along, and David Hahn, the so-called "Radioactive Boy Scout" whose teenage pursuit of similar ambitions 18 years ago, was thwarted by adults and authorities on all sides and ultimately led to arrest and humiliation. From reading the story, there is no question that Taylor can count extraordinary parents among his many blessings. But there may be more to it than that. Hahn tried to be a do-it-yourself nuclear scientist in 1994, when the Internet was only beginning to be a real force in our society. The Web has shattered old business (and other) models and introduced completely unprecedented ways for people to connect and learn. Perhaps it has also opened us up to a new understanding of and appreciation for the contributions that an individual can make...even if it's a kid, and even if he's trying to build a fusion reactor. A genius-friendly world is not without risk. Reading about a kid making a breakthrough in fusion, I can't help but be reminded of Eliezer Yudkowsky's "More's Law for Mad Scientists," which tells us that every 18 months, the IQ required to destroy the world drops 1 point. As I noted last week, even without encouraging them to handle radioactive materials, individuals have more resources at their disposal today -- and are more capable of making extraordinary things happen -- than at any previous time in human history. We've got to hope that the would-be Taylor Wilson's vastly outnumber the mad scientists, and that the good geniuses will work towards ends that actually make things harder for the bad guys -- which Wilson is already doing. But beyond hoping, we all need to get busy. Unprecedented resources are available to each of us, and we are each more capable of doing something amazing than we have ever been before. The story of Taylor Wilson is an inspiring one. But let's not just be inspired. Let's do something about it.